Good morning people! 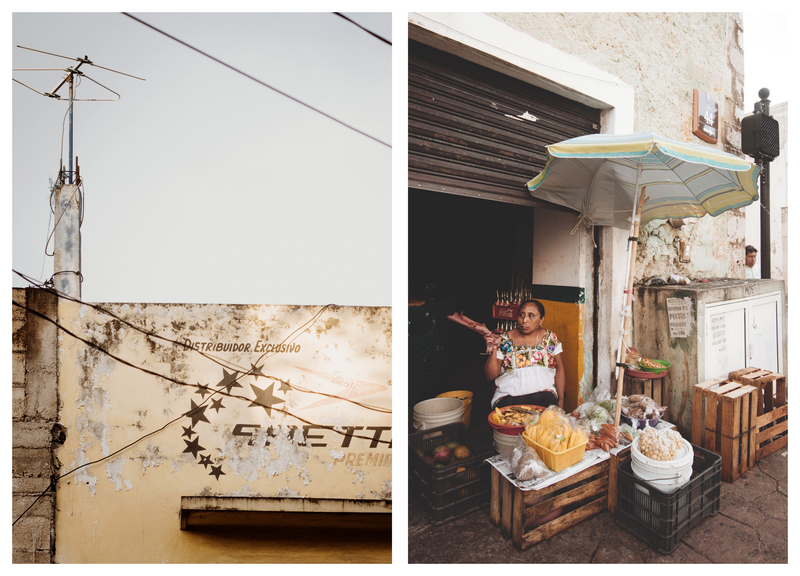 Are you ready for a serious invasion of photos from our roadtrip through Mexican peninsula, Yucatan? 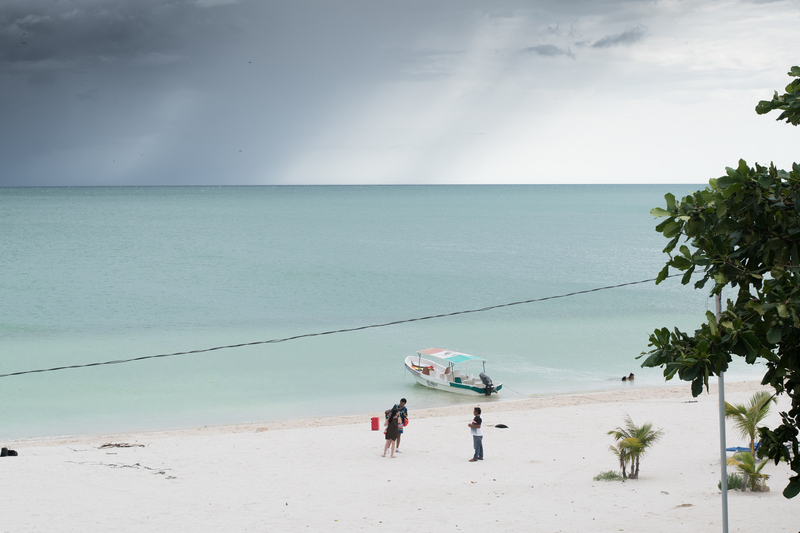 They said „Mexico can be dangerous, travel with an organized group”. They said „you need a guide, you don’t speak the language”. They said „you won’t get to some places on your own”. So…we listened, yet did exactly the opposite. Why, you wonder? Because that’s how the great adventures start! Roadtrips give the freedom to travel where we want and at your own pace, without overcrowded tour buses at awkward times. Is it dangerous? 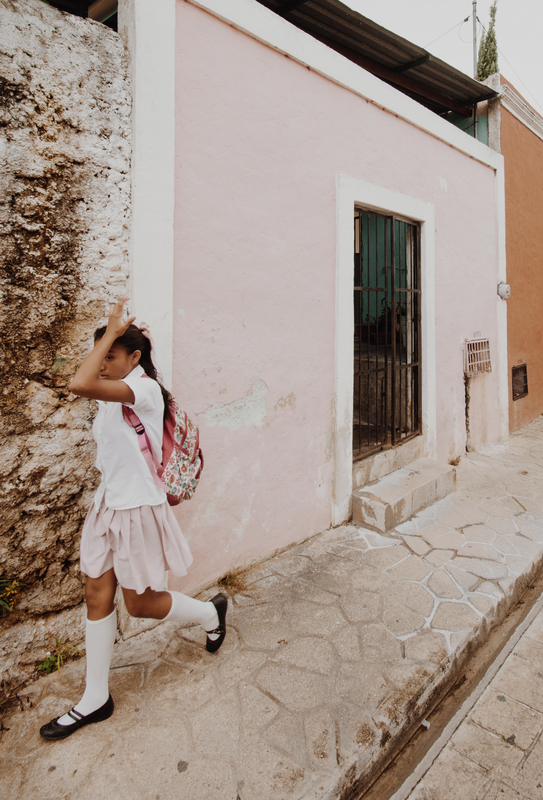 Bad things can happen everywhere for sure, but the general feeling in Yucatan is very safe and welcoming. Just make sure to respect the local culture and be kind! 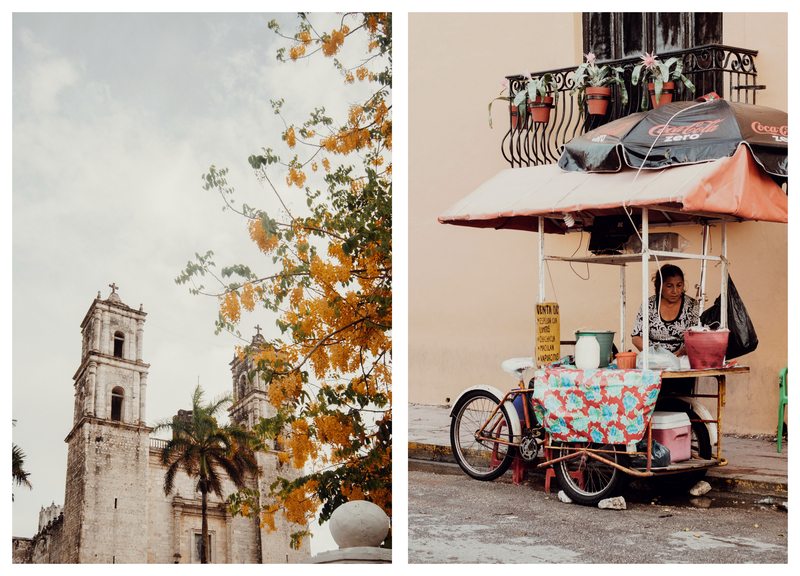 Being a traveller, not a tourist allows us to spend time with local people, learn about their culture, get off-the-road and explore the wild, all that and so much more so here’s comes my guide with all the must-see places and a route to follow along the Yucatan. Ready? 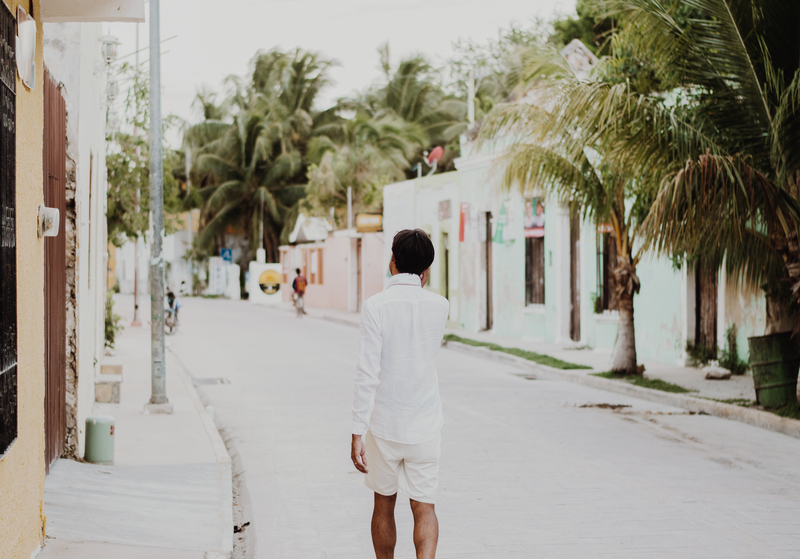 1/ Tulum – our roadtrip started and finished in Tulum, you can read the full Tulum guide here. 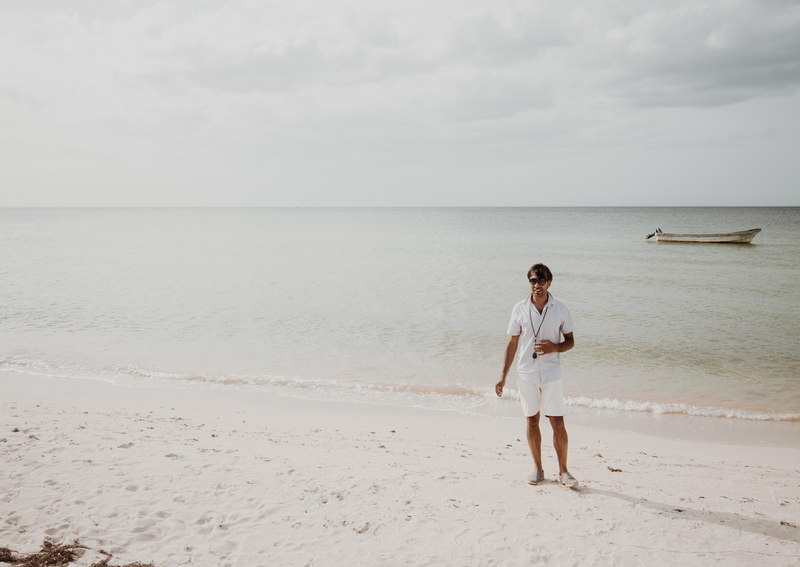 We rented the car from Dibar Tulum (40$ / day) and started our adventure right there. 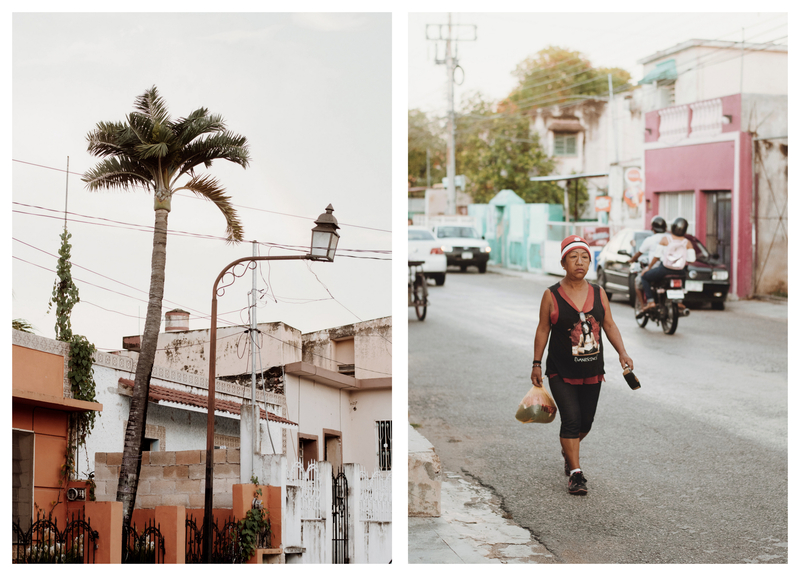 2/ Valladolid – to give you th best idea of this charming, colonial city with pastel-colored, low rise-buildings town would be reapeating „Ohhh and ahh” too many times for anyone to listen, so I will just say that I instantly fell in love with the atmosphere and rich Mayan culture here. 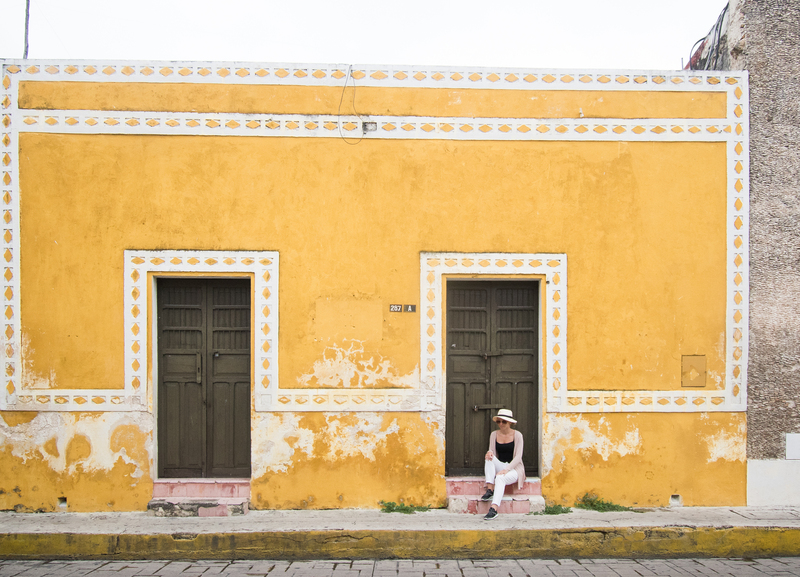 Whether you plan a quick stop in Valladolid or a few days, I recommend spending first hours walking around and exploring the colorful streets. 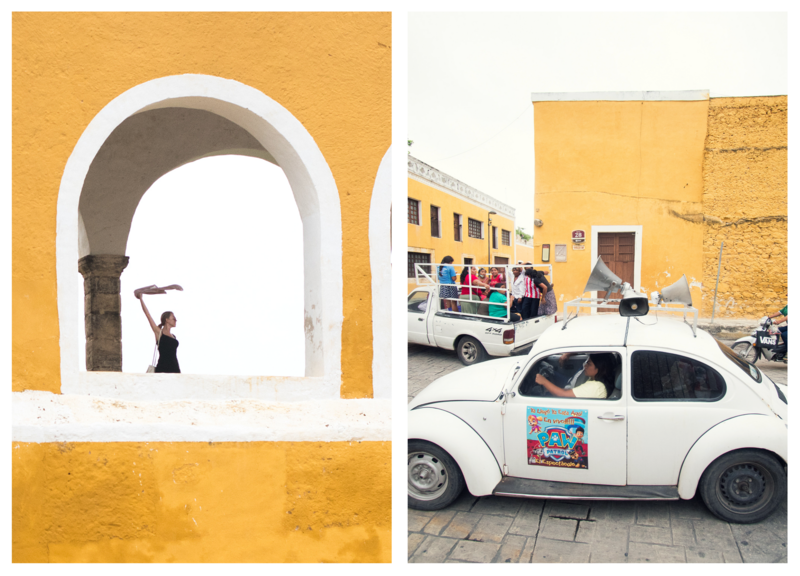 Sure, pastel buildings are beautiful but that’s not all what Valladolid has to offer. 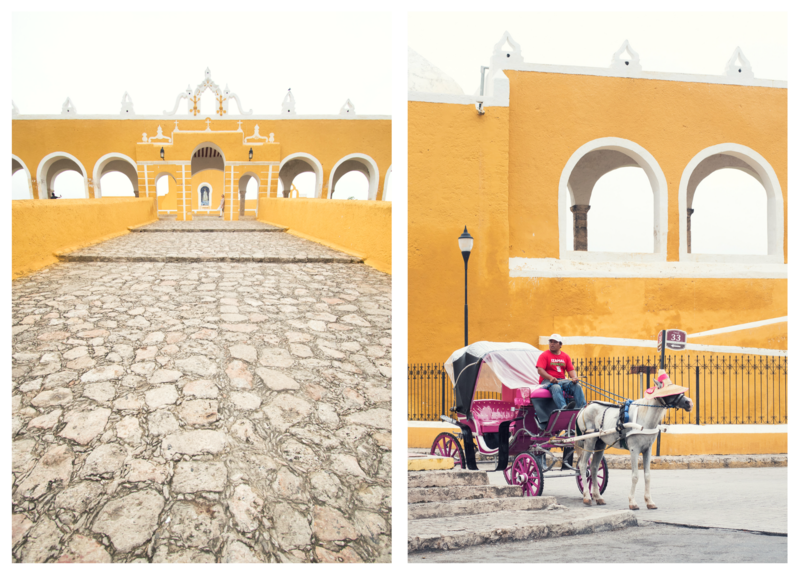 Main square & Palacio Municipal – you can either visit it on your own or ask for a tour guide. 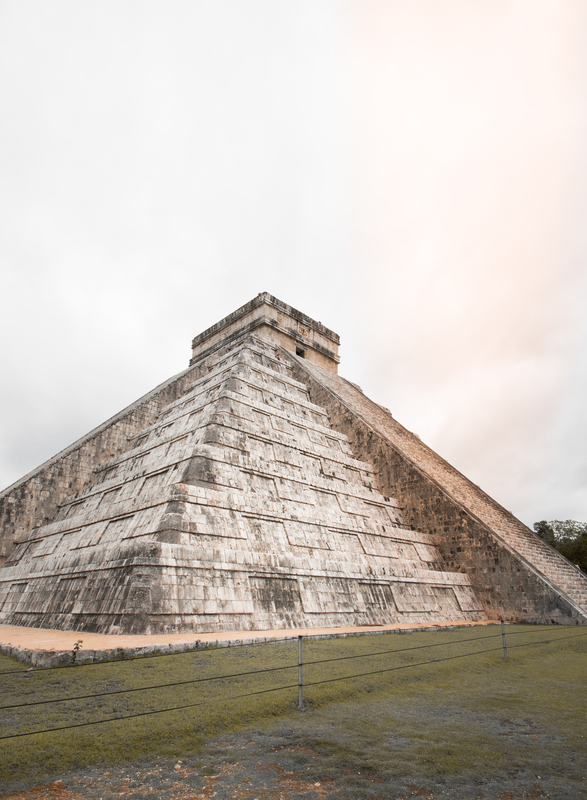 If you want to feed your brain, learn about the Mayan history, this is the place to come. There is a small museum and a gallery containing several large paintings overlooking the main square, just above the tourist information office. 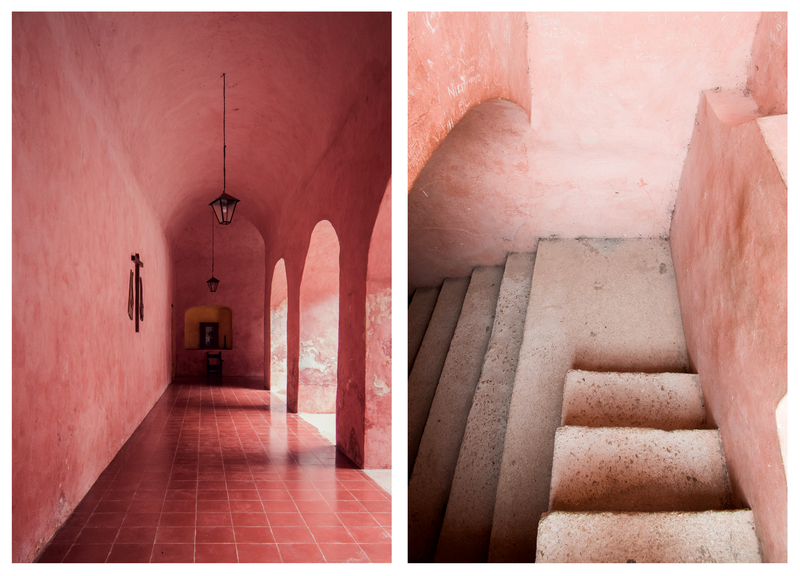 Convent de San Bernardino – beautiful colors, well-preserved, historical sanctuary with a small exhibition, wander around and enjoy the mystical pink, corridors. 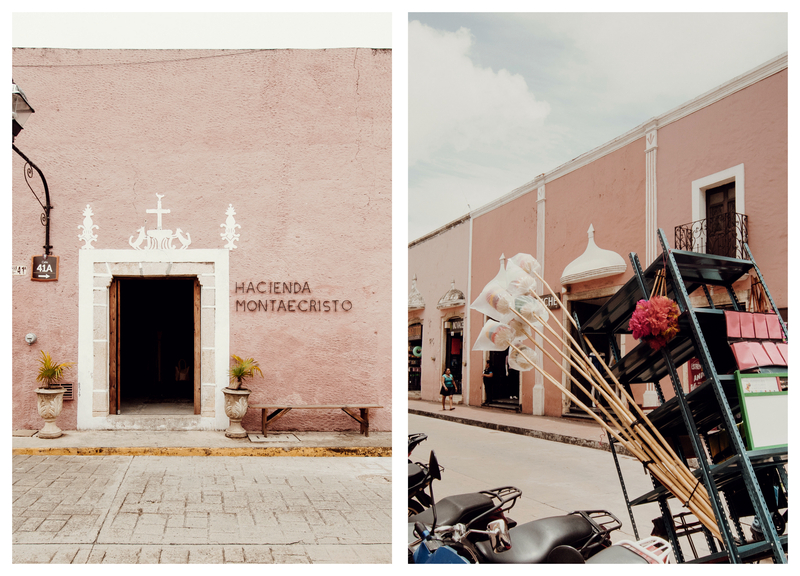 The church on the main square is the only church in the Yucatan to face north. All others face east, toward Rome. When you get to the right ones like the Xkeken and Samula, the feeling of swimming in the underground cave, in a crystal clear water is bananas. Don’t forget to Look up to the ceiling and see a small opening to the outside with the light pouring in. Out-of-this-world experience you can’t miss. 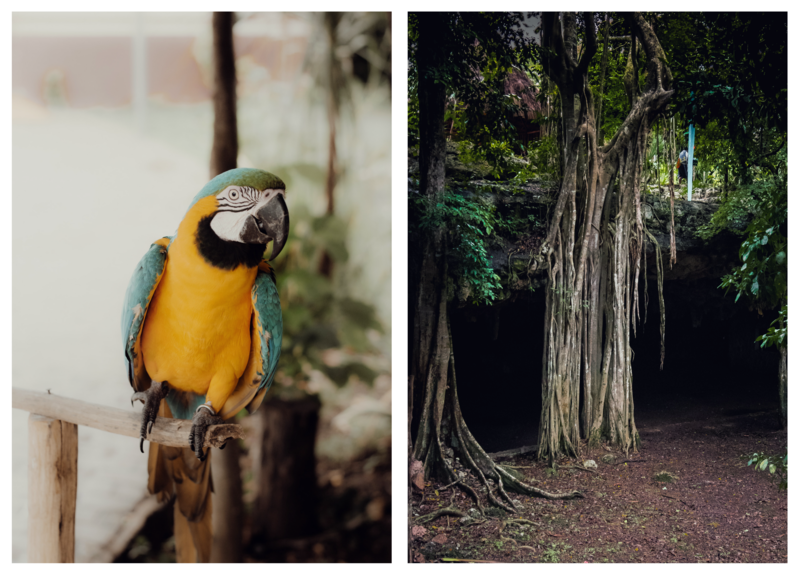 I find Mayan culture absolutely fascinating. 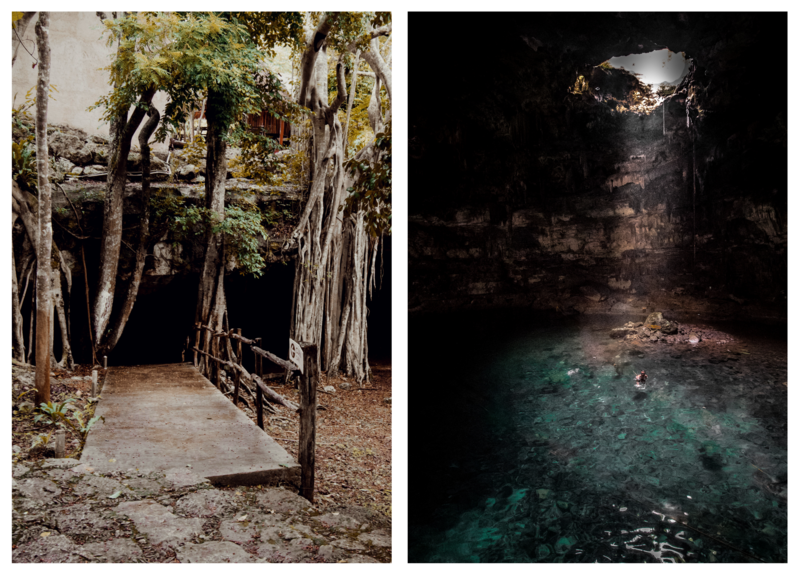 A bit of that secret world can be experienced through the remaining ruins of the ancient cities: the temples, galleries, astronomical observatories, ball game arenas, planetarium, sacred cenotes (the things they were scarficing there!). It’s worth hiring a guide to walk with you around the area (50$ for a 2 hour tour) who will explain you how the people lived and their interesting science. 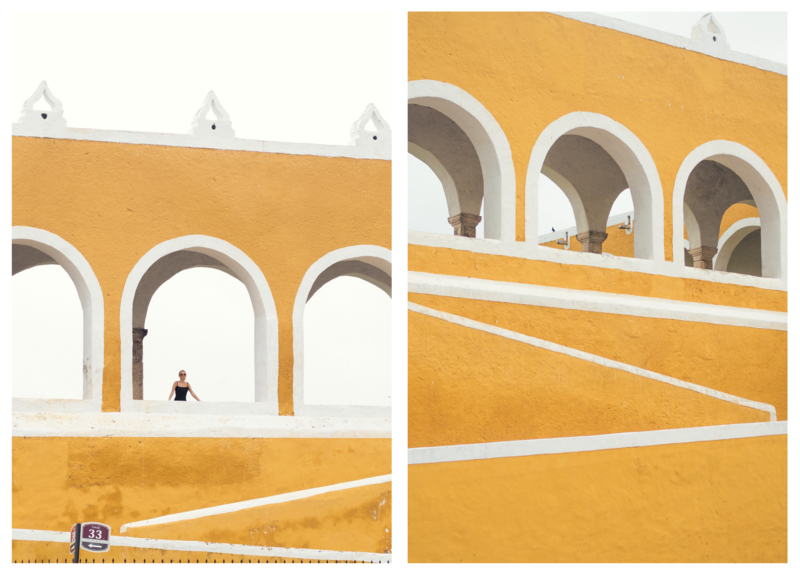 5/ Izamal – the yellow city. 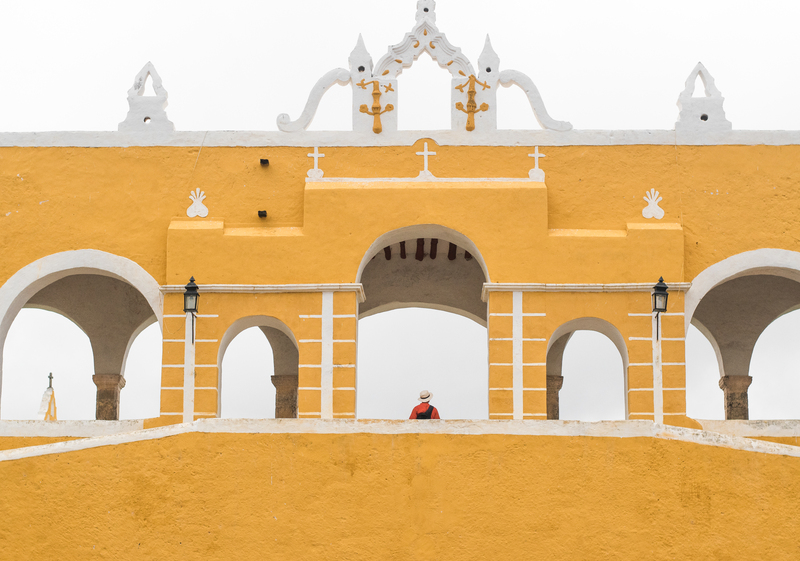 It’s only a little bit more than one hour from Chitchen Itza but the drive to this “yellow” city is worth it. How often do we get to see one-color city? Exactly! 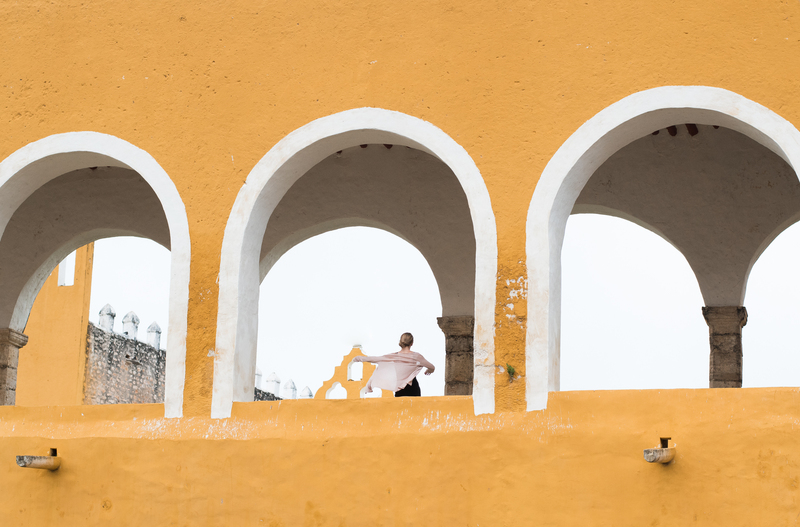 The golden hour is magical with all the shades of yellow around. 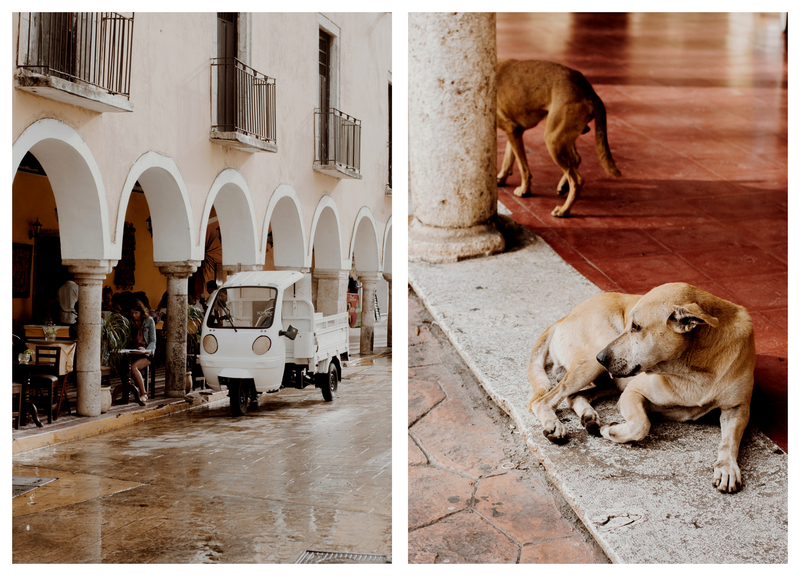 If you are into photography like me, you will definitaly love this town. 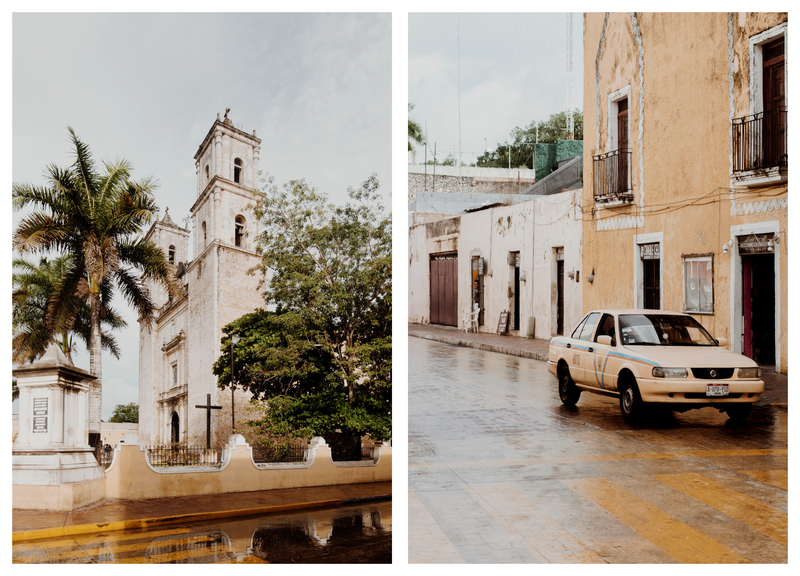 6/ Merida – the capital of Yucatan. if I can be honest here. 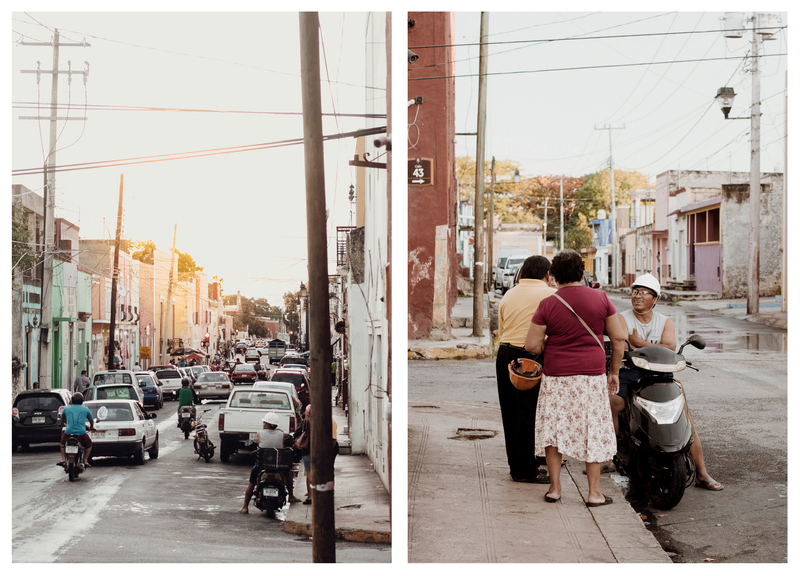 I was expecting more from Merida, after seeing Vallodolid and Izamal it seemed a litte too ‚normal’ for me. Crowded and loud, yet many people find it amazing. I guess it depends on our mood and preferences. I admit I wasn’t feeling well that day (1-day fever) which might have influenced my judgement. 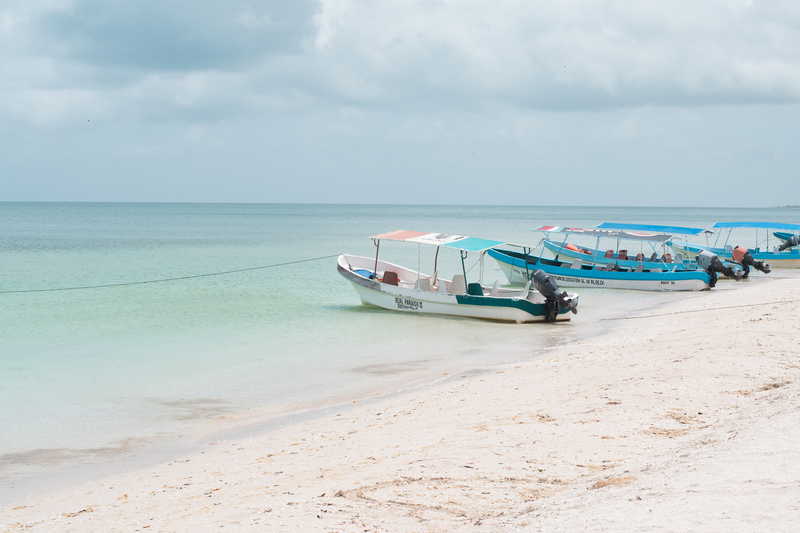 Celestun biosphere reserve – you can get a boat tour from the beach or the bridge at the entrance to Celestun. 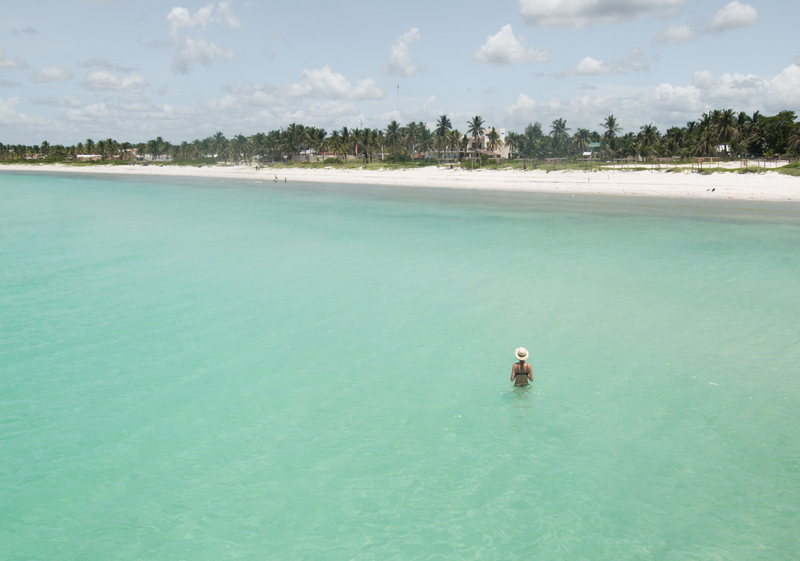 1,5 hr tour took us to the flamingos, mangroves and a hidden cenote for swimming in a crystal clear water. 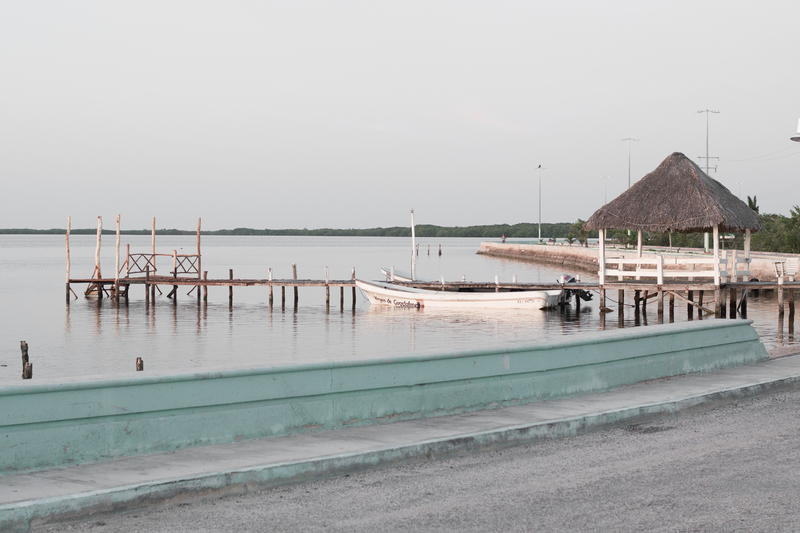 8/ Driving from Celestun to Rio Lagartos. 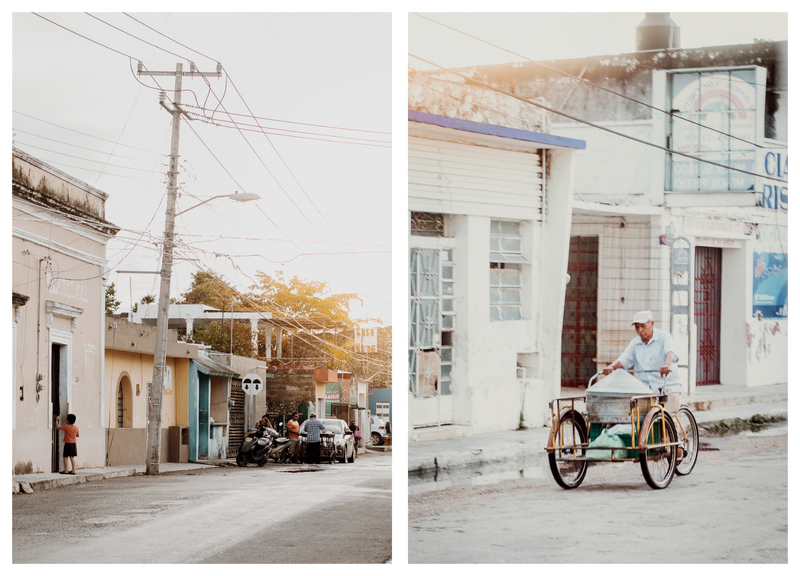 Stop and explore. everywhere! That part of the roadtrip was particulary interesting for a quick stops & snaps on the road since we followed coast road. 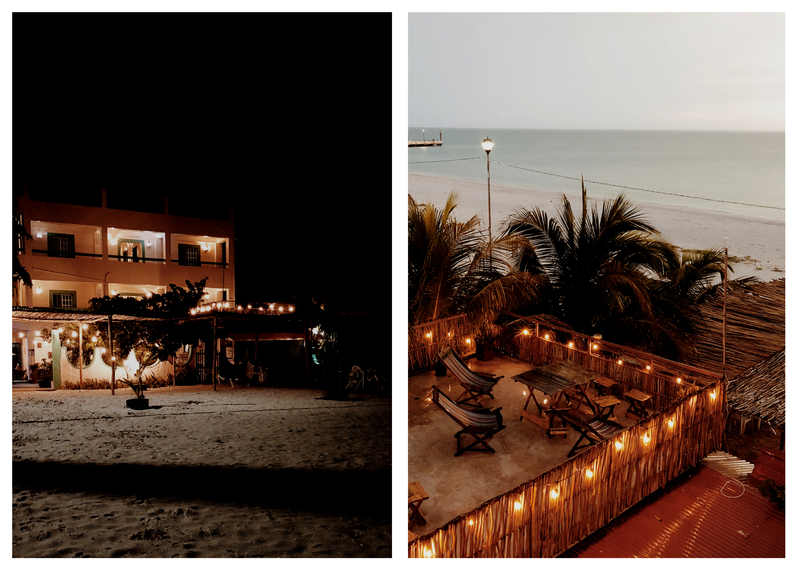 Natural reserves, cute towns, wild beaches, we found it all along the way. And we loved it all! 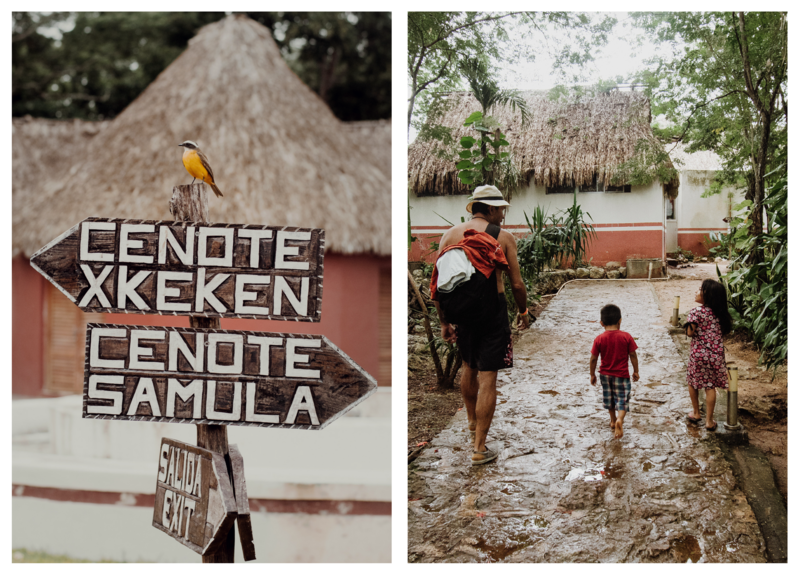 It got late and we were a little bit tired so instead of driving straigh to Rio Lagartos, we stopped in the town – Dzilam de bravo, hotel Perla Escondida („hidden perl”) and I have to say…I wouldn’t find better name to describe this stay. Recommended by the local people, we had a trouble finding it at first. 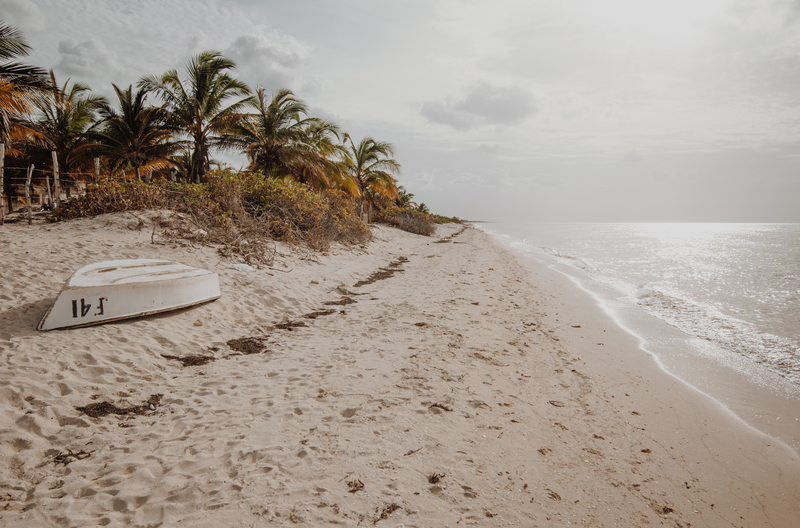 Hidden in the woods, yet right at the coastline, this structure was a true treasure. 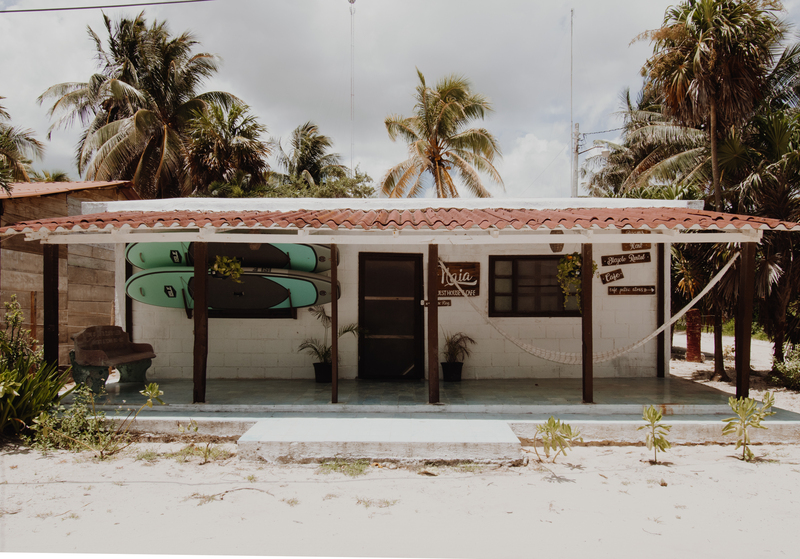 Each home handmade by the owner featured gorgeous natural amenities (stone sink, shell taps, natural shower mosaic made by the hotel friend – Irina). Beautiful and comfortable. If you are into wildlife, you can spot some interesting species in this area too. Don’t worry, they are not poisonous, yet it’s quite an experience to see Tarantula!!! Eeek! 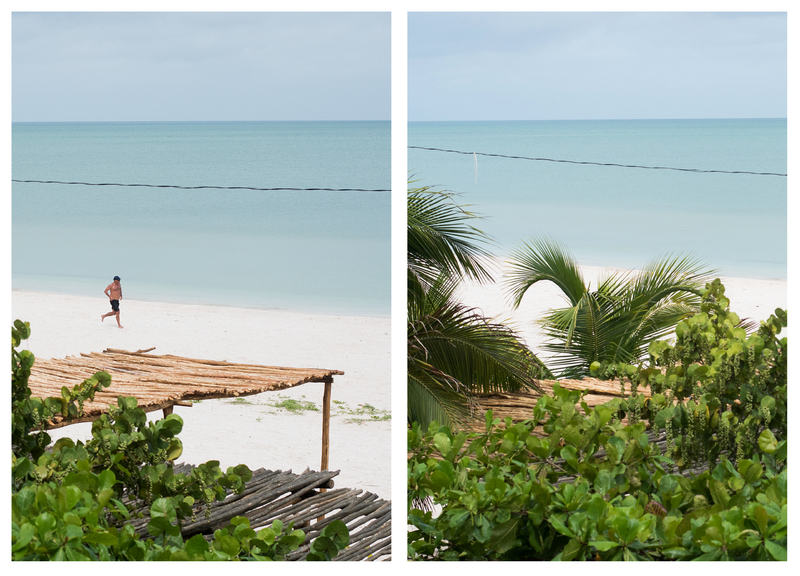 During the day – you can rent a kayak from the hotel and swim to the shallow sea path from the beachfront of the hotel. 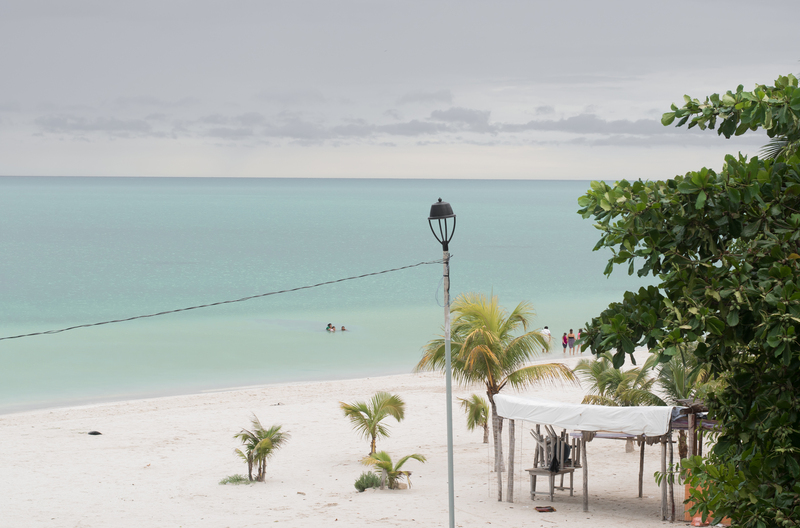 9/ Rio Lagartos – a small village with incredible places to watch the sunset in the evening. 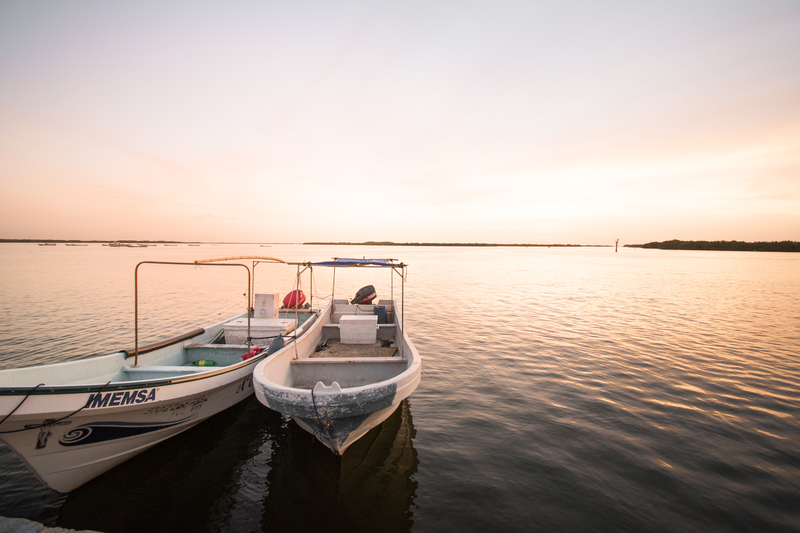 Early in the morning we took a boat trip into the biosphere reserve. 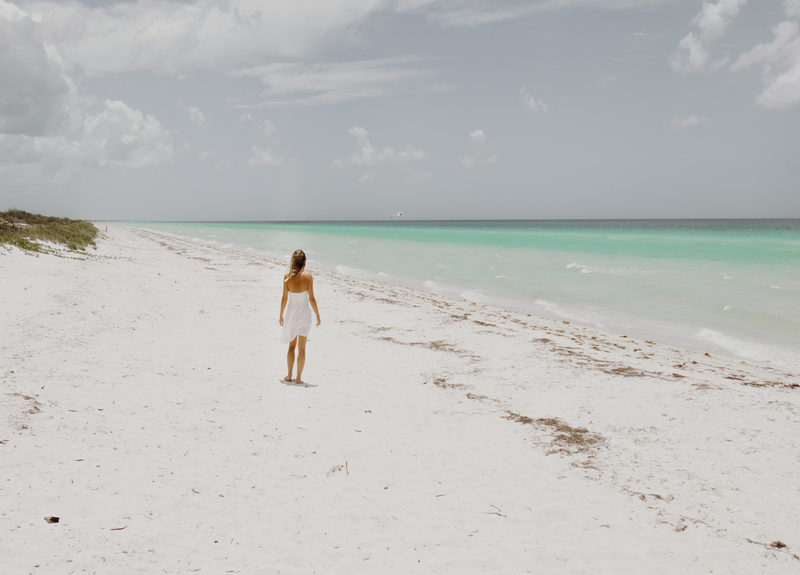 The tour promises – flamingos, pelicans and other birds, crabs, mud bath, swim in the turquise lagoon, crocodiles and stop in Las Coloradas (the pink lagoon) . Apart from the last two it delivers what is says. 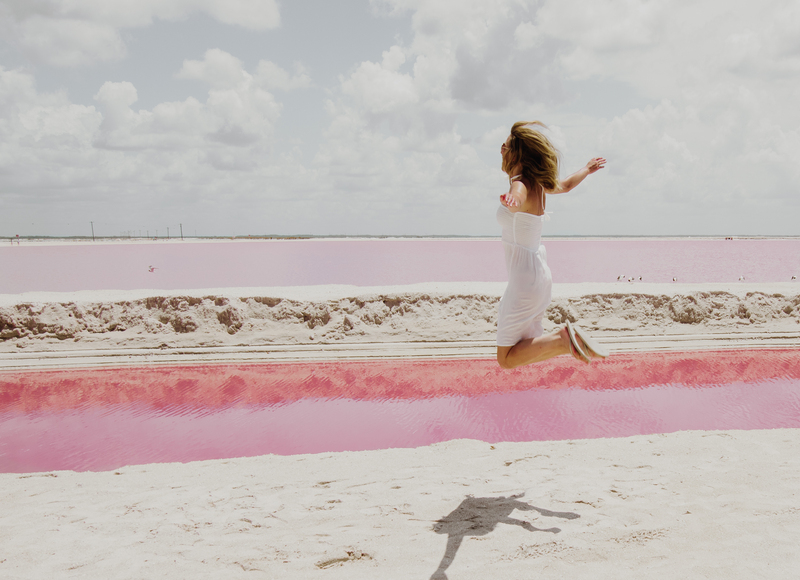 Before taking the tour, I read online that the boat tour does not take you to the real pink lagoon and in fact the place that they show you is far from the true pink lakes. Water looks more yellow than pink and well it is very far away from where you stand. But the good thing about roadtrip, you can reach it by car, which I will talk about in the next point. 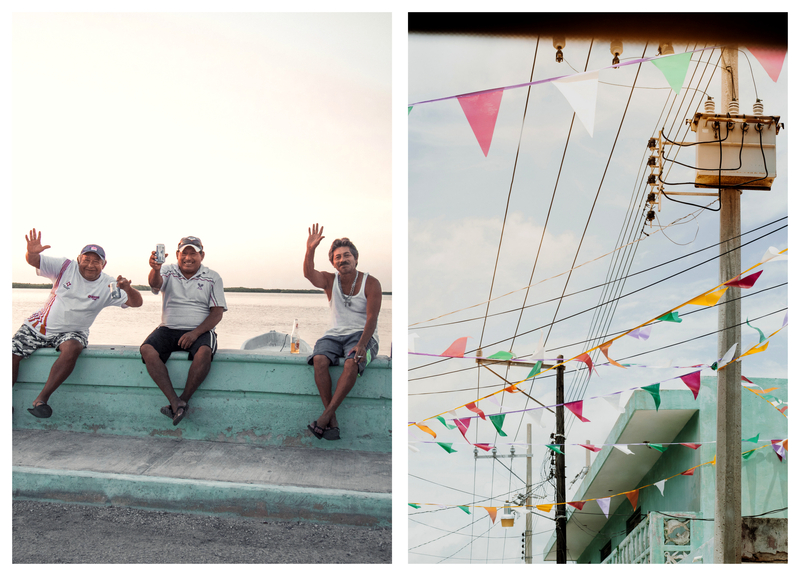 Below few photos from Rio Lagartos. 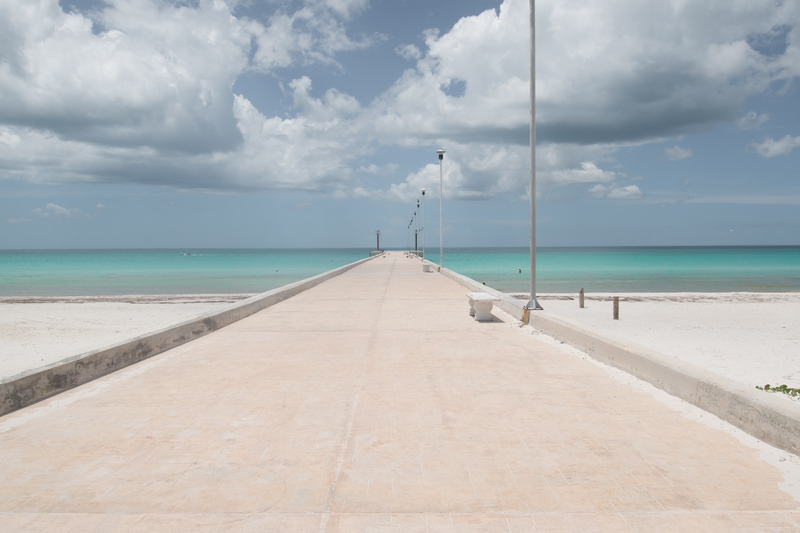 10/ Las Coloradas – while driving to Las Coloradas, I recommend stopping for a few minutes in Cancunito beach (photo above) – beautiful! 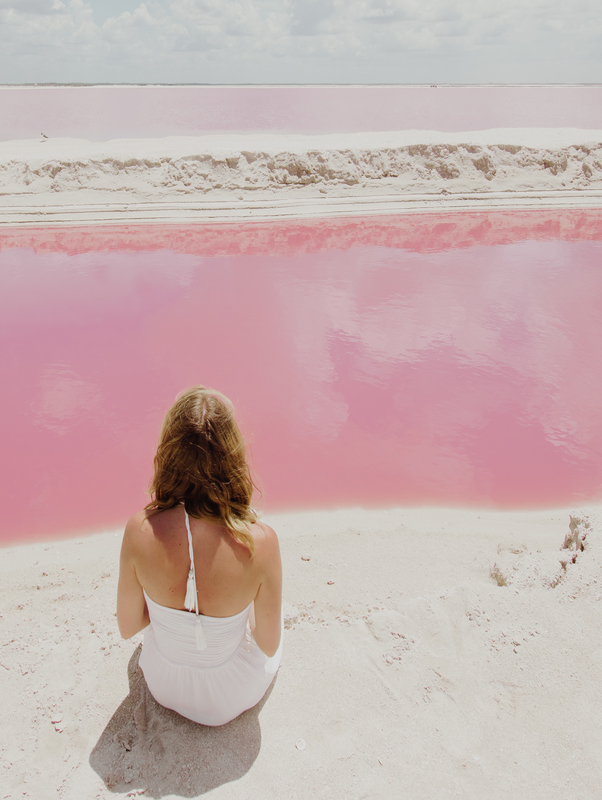 After quick look, we drove to unbelivable, cotton-candy pink lagooon. 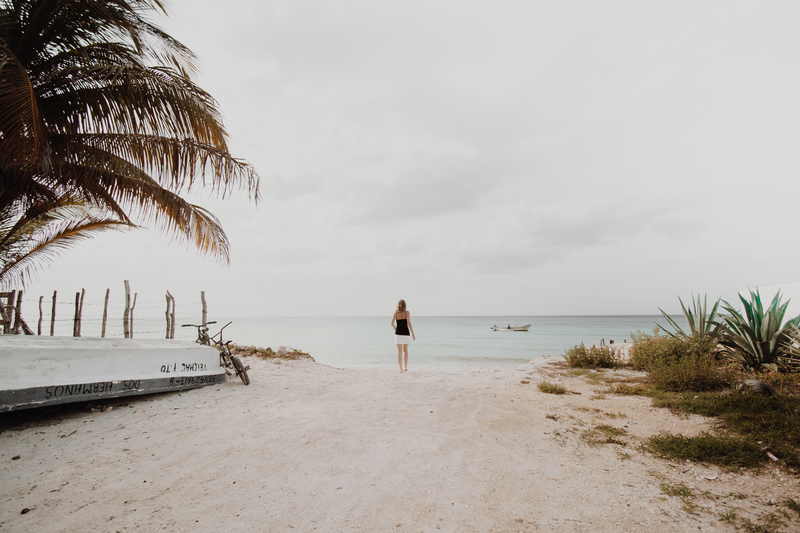 Admiring the beauty of the lake is the only thing to do around, swimming is unfortunately not anymore possible, so I would consider it as a 1-2 hour stop on your roadtrip map. 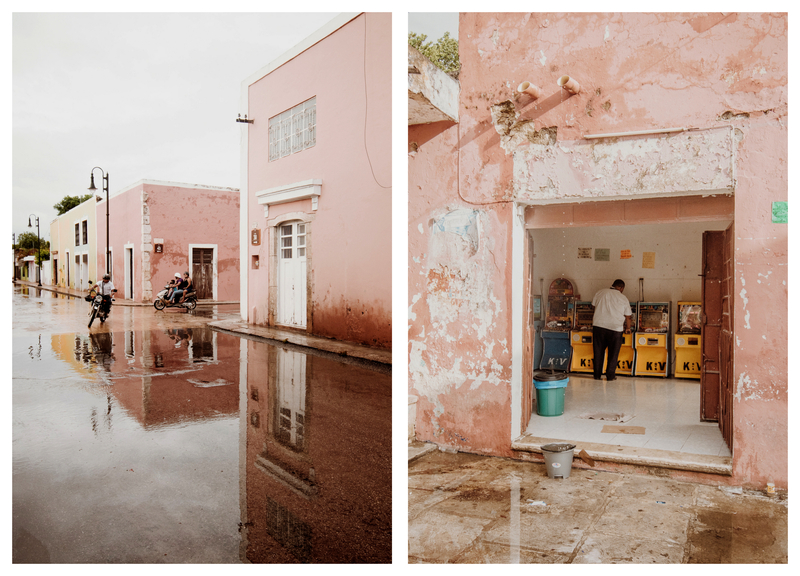 The small town, near the lagoon – Las Coloradas is known for the salt production on the big scale. 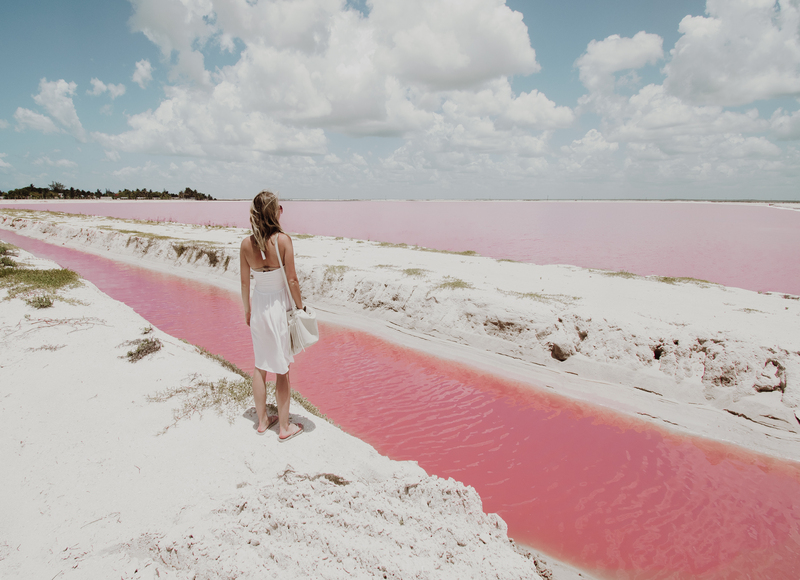 The pink color of these lakes is due to red-colored algae, plankton, and brine shrimp that enjoys the salty environment. 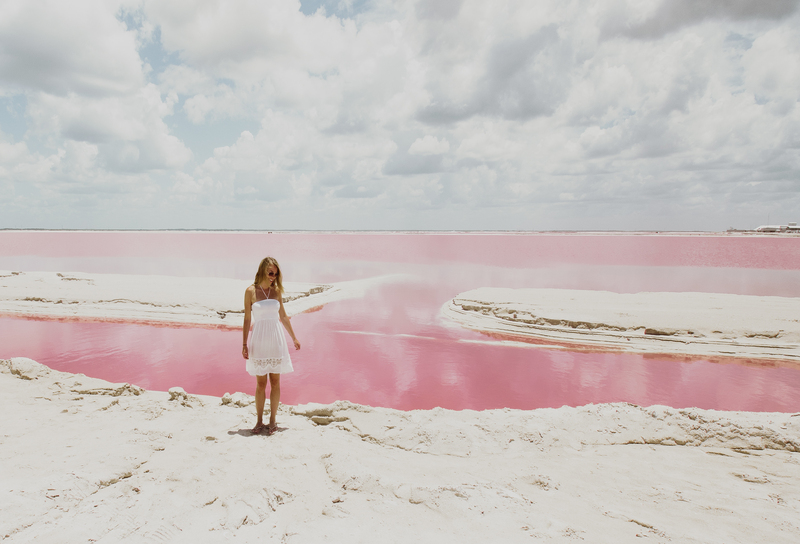 As the water evaporates, the organisms become more concentrated, glimmering pink in the sunlight. 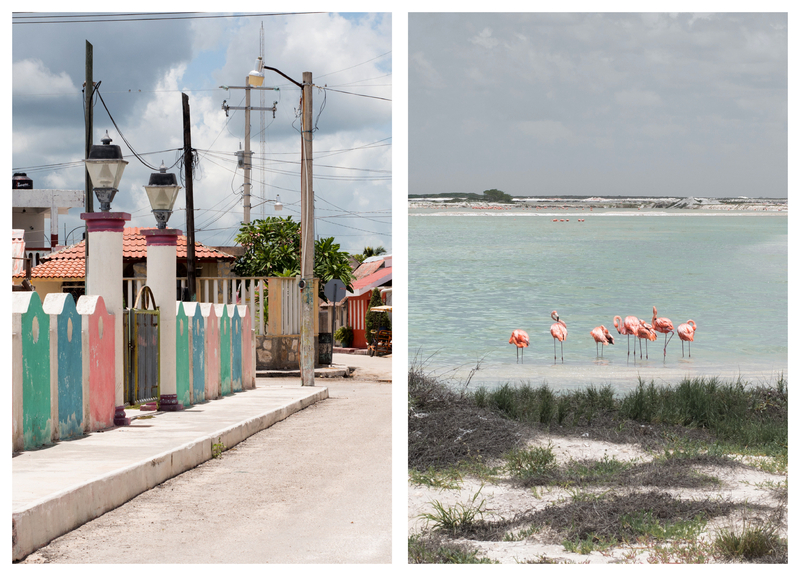 Fun fact: turns our flamingos in this region are more pink because of the red-colored organisms they eat! The pink heaven impressed me a lot and I’m very happy we got to the right place, by car. After that we took a so called ‚wild’ road to arrive to El Cuyo. 30 km road, near the coast instead of much longer ‚safe’ road. It seemed like another great idea, not only shorter but adventures, exploring the reserve. But it wasn’t. We did not have a 4×4 car and if I had to describe this experience with one word, I would say… nightmare! 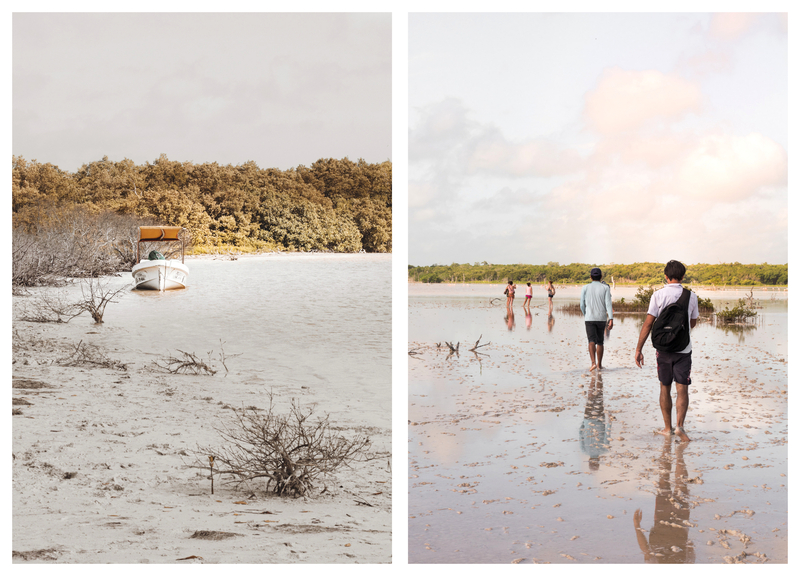 It was so bad (tiny, rocky road with trees covering half of it, full of massive paddles of water, size of a small lake covering the entire width of the road, possible crocodiles in the mangroves and no other cars passing.) We wondered if we will ever get out of there. I don’t recommend taking that road if only your heart (not year car!) is ready for adventure. Guess whose idea was it? Guilty! 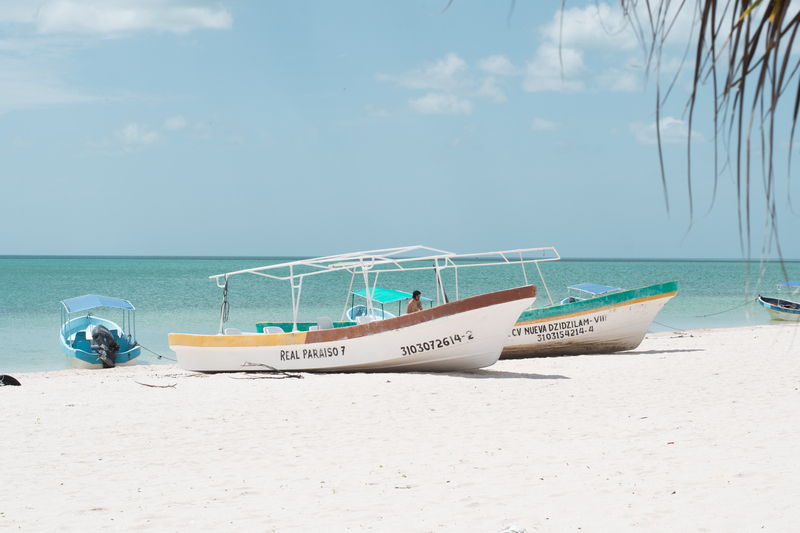 El Cuyo, just like Celestun and most of the beaches in the Gulf of Mexico offers paradise beaches, untouched by tourism so if you prefer peaceful coastline to vibrant destinations, this is it. 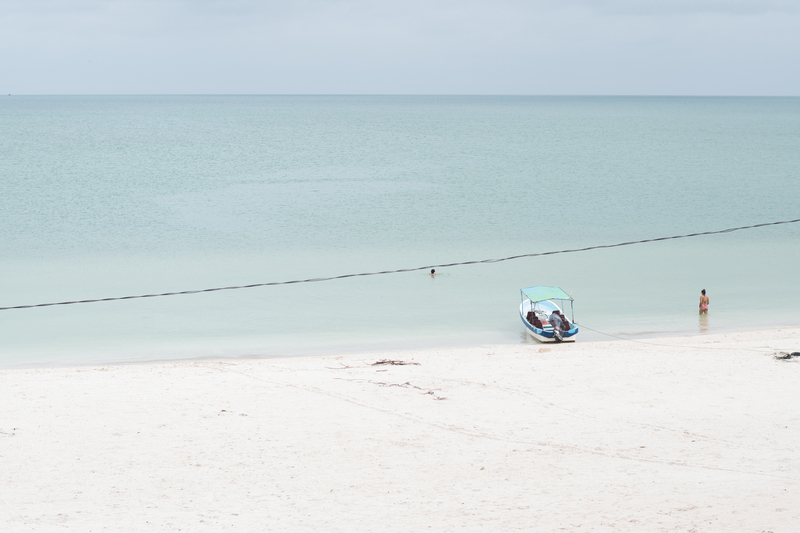 It’s the only place where we saw giant turtle swimming near us in the sea. 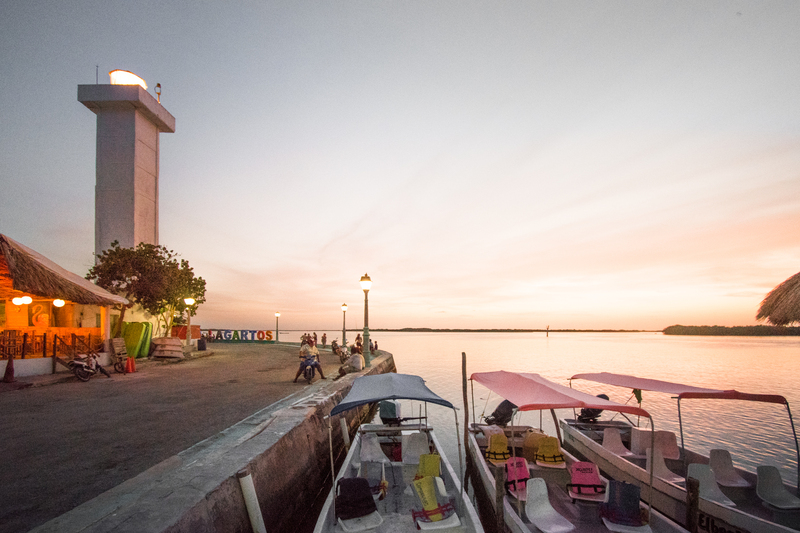 On top of that – beautiful sunsets and had yummy, fresh fish for a few pesos! 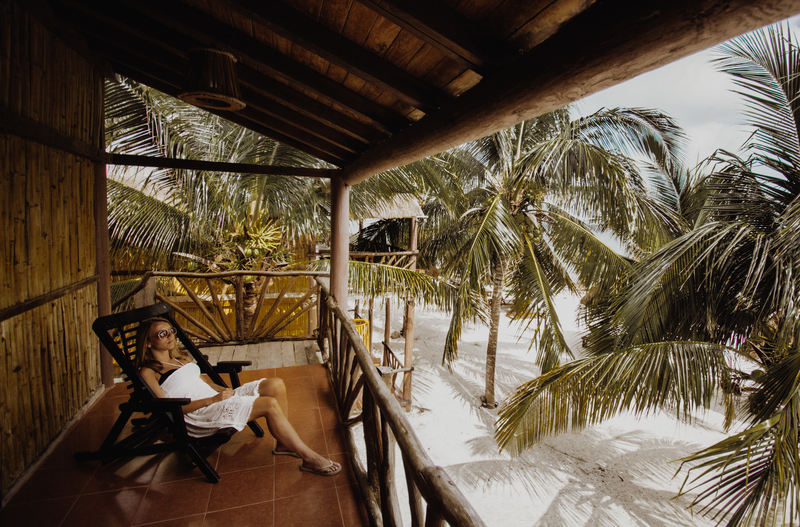 Recommended accommodation: Book Airbnb or rental apartments, they seem better option than the hotels here. 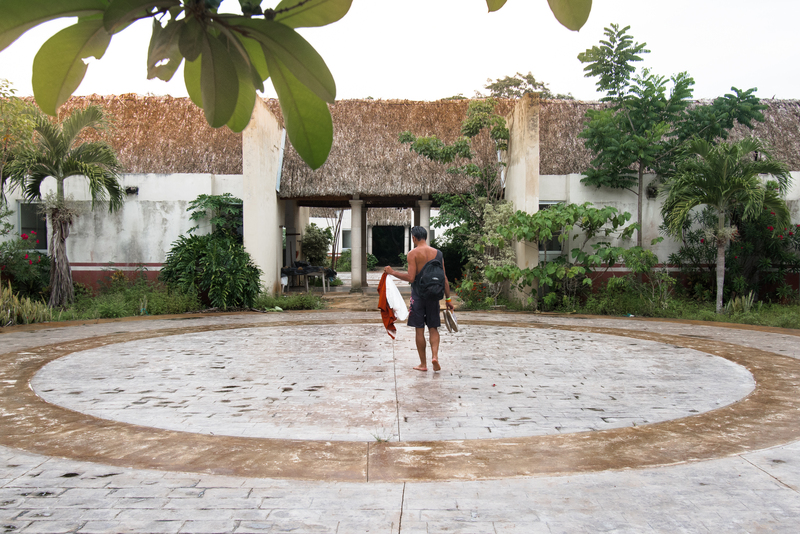 That was the last stop during our roadtrip, after that we drove back to Tulum where we spent few more nights before coming back to Europe. 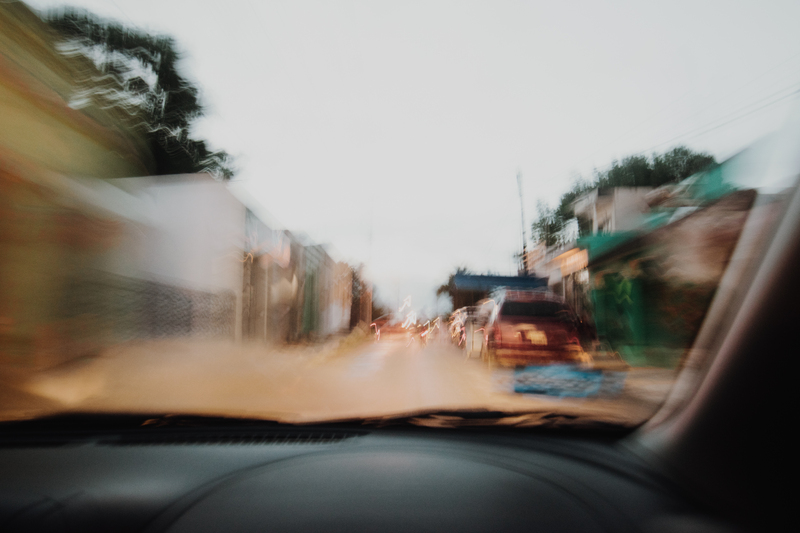 Do not drive fast in the small towns – kids and dogs tend to play in the main roads. If you are planning to get off the main roads, make sure to have 4×4 car! 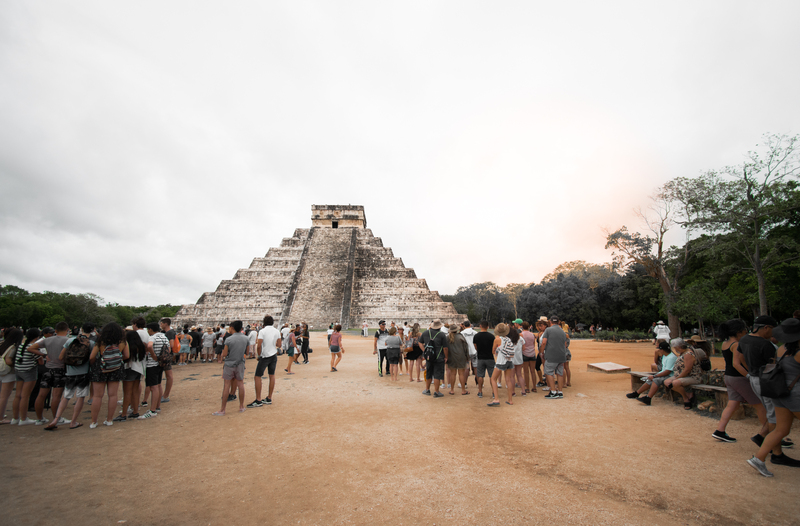 Weather in June is very hot and sunny most of the time but be ready for quick intense showers and occasional storm when the God of rain (Chaac) decides to bless you with it 😉 Good to have umbrealla or rain poncho with you, just in case. 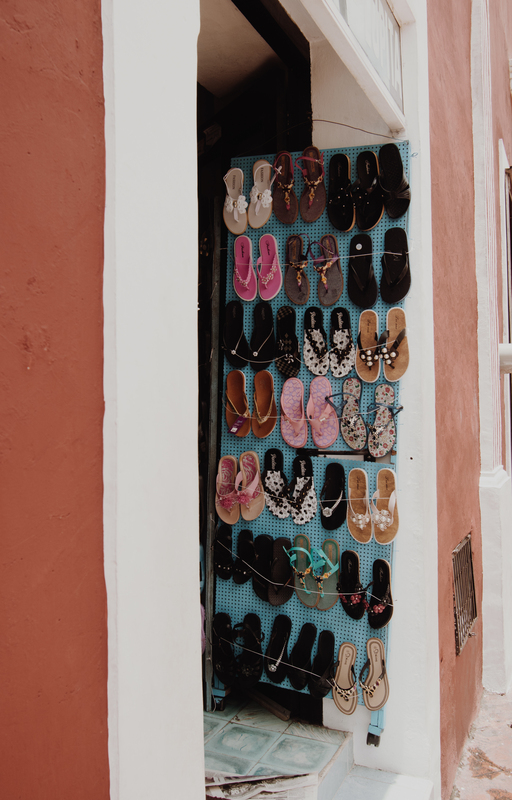 Negotiate the local tour prices – the ‚starting’ price is usully a little higher than the one most of the people end up paying. IMPORTANT: if possible have your few-days cash with you, many ATMs do not offer pesos, only dollars and commission tends to be high. 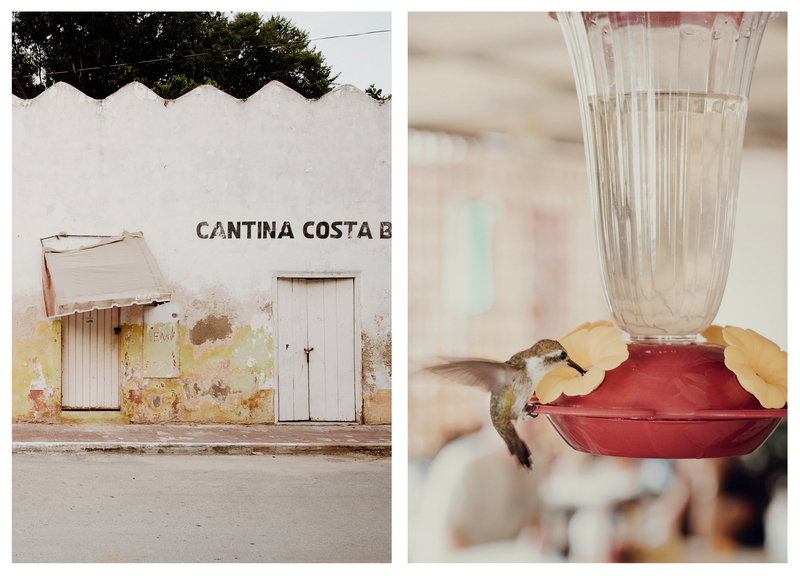 In many restaurants including Tulum you can’t pay by card. Be a traveller, not a tourist, have fun and collect good memories! 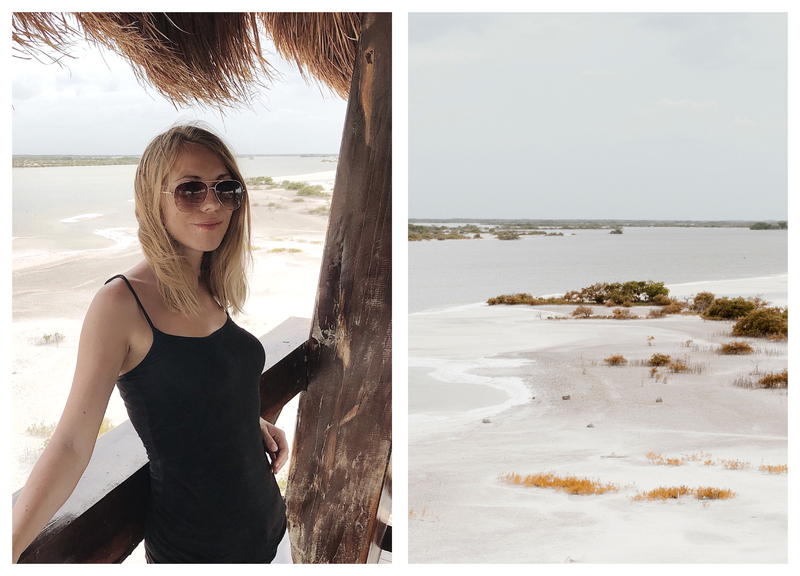 I hope you enjoyed the recap of our roadtrip through Yucatan, if you have any questions, I’m happy to share our experience and help. 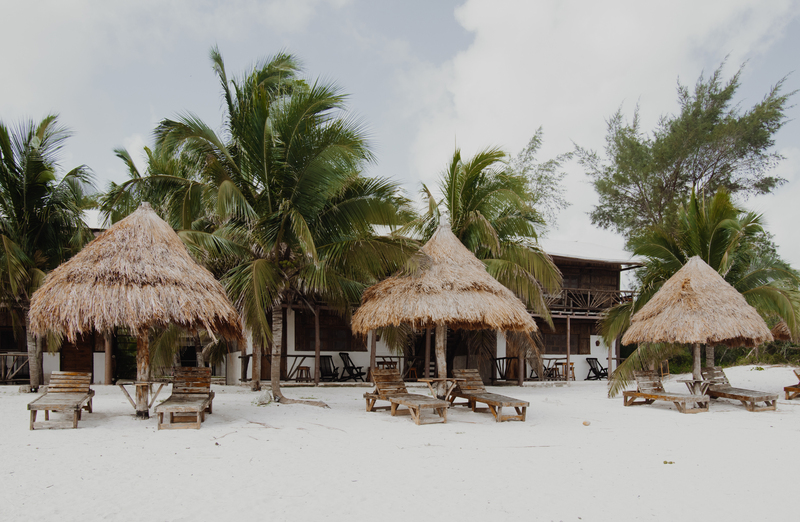 If you are interested to visit Tulum, make sure to check my post with all the recommendations and things to do.